How do you feel about uncertainty? In the past ten years, I’ve started to embrace uncertainty and not always knowing the outcome. It’s a lesson that is finally starting to sink in & pay off. That’s how sales work. Until you ask for the business, ask your prospect to enroll, or ask for the investment, you’ll never know the answer. You’ll never know what your client wants, or if they want to work with you. If they want your product. This is scary for a lot of people: people, in general, like to have a plan, a solid foundation. We like to know that everything is taken care of. It gets weary to not know the outcome or what to expect. 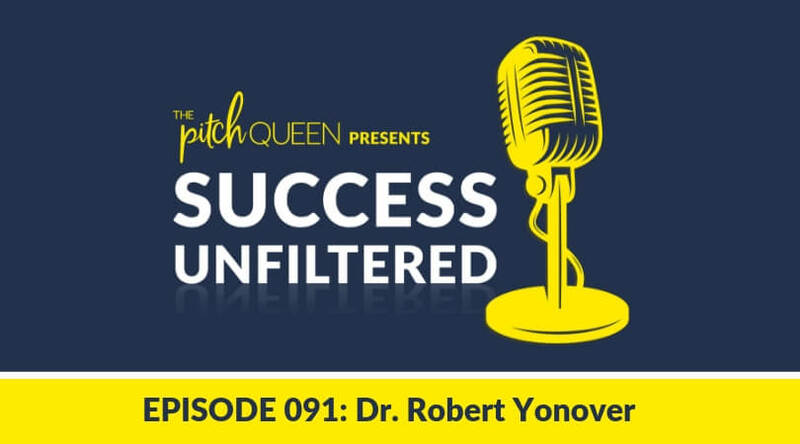 Those of us who live in the world of sales, enrollment and making pitches signed up for a life of uncertainty – we’re always chasing down the next YES or NO – the next uncertain thing. When you don’t ask, you don’t know. If you don’t share your idea with an investor, you’ll never know if they are interested in supporting you! If a singer doesn’t sell their talent to an agent and market themselves, how will they have a chart-topping hit? They won’t! And if they don’t share, there’s not even room for that random luck that sometimes comes to those in entrepreneurship or sales. I have to ask: What if we got really comfortable living in uncertainty? And then, we become certain, because once we make our offer or our pitch, we are again living in uncertainty until we hear from the person in front of us how they want to proceed. So where are you in not knowing the outcome? Living in uncertainty can be fulfilling. In fact, it can actually be quite fun. A guest on the Success Unfiltered Podcast, Kendrick Shope, said that “NO is a light in a dark alley of uncertainty.” I’m excited to share her amazing story in this week’s episode of Success Unfiltered. As a seven-year-old, Kendrick experienced her first NO in the world of sales. Her school was having a fundraiser, and the kids were selling cookies. Top sellers would receive prizes, and Kendrick had picked the prize that she wanted: a boom box. This boombox was hers. She knew it! She got her cookies to sell, and her mom took her to go door-to-door. The very first person she asked to make a purchase said NO! Devastated, Kendrick started crying. It’s a vivid memory; she recounts the leaves on the ground at her feet as she cried staring at the ground. The lesson remains with Kendrick to this day. The woman’s NO had nothing to do with Kendrick. Nothing to do with who she was. It was simply that the woman didn’t want what Kendrick was selling, the cookies. But we each take the NOs so personal. That day, she learned that she was going to hear a lot of NOs in her life. That NO was simply a step towards the certainty of hearing a YES. And coming from a place of not attaching herself to how she felt when she would hear a NO was a crucial turning point for Kendrick. It wasn’t officially accepted yet, but Kendrick knew it was about to be published. She had a head full of promises and a mouth full of excitement and was ready to share it with the world. To date, the book has been refused 11 times by publishers. Each time hearing that NO has been a step closer to a YES for Kendrick, and to leading towards telling her best story. Kendrick’s many years of sales experience has taught her so much, and she leans on the YES from the past to encourage her to power through the uncertainty of these major NOs. Knowing that she has a valuable story to tell – even if she hears NO, Kendrick knows that she is meant to tell a story and will find that YES! Does she have a publisher? NO. But she has a story to tell, and knows that it may be her 12th pitch or her 20th pitch, but she will find that YES! As Kendrick has continued to grow in her business and embrace uncertainty, she’s found herself being the one to say NO! She fields more pitches than ever and has turned down almost all of them. Her NO often has nothing to do with the person pitching or wanting to work with her (although one pitch was sleazy – don’t do that!). Kendrick’s NO is now about aligning herself with people who fit her messaging and her goals. It’s not about taking on as many clients as possible: now, Kendrick is very picky. If it’s not a good fit, the answer is always a NO! This helps Kendrick be strategic and embrace the freedom of being able to live in her best YES. 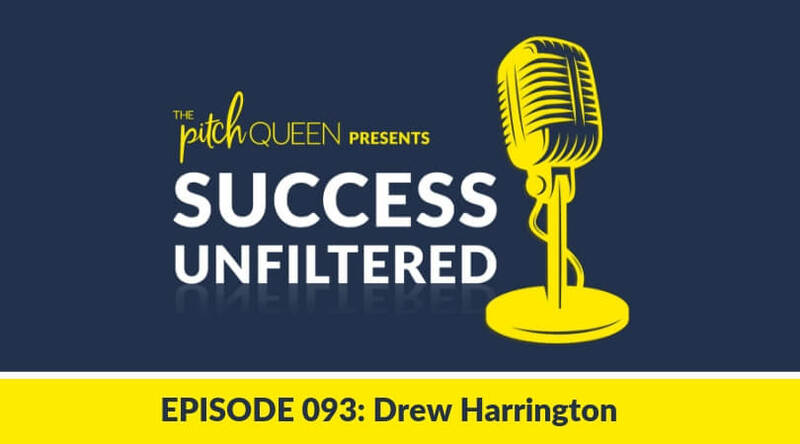 Kendrick and I talked about her sales journey, and how much coaching she has paid for over her career. When she added up all the coaching and training she has paid for, it was an investment of more than $150,000. While Kendrick doesn’t regret the things she learned and the coaches she has worked with, she wishes she had said YES to herself and embracing uncertainty a long time ago. While Kendrick didn’t say YES to herself for a long time, she has learned to trust herself and the lessons she has learned, and say YES to the best! There will be uncertainty in the journey, but this much is certain: Kendrick knows that she is ready for it! NO is never the worst thing that you can hear. In fact, it brings certainty to a situation. It leads to either serving a client or moving on to take your skills, services or products to the next YES awaiting you. How do you handle the uncertainty of this entrepreneur or sales life? Do you embrace it and enjoy it? Tell me in the comments! Do You Want BIG Success? Solve the Hardest Problems First! Have You Established YOUR Energetic Minimums?